Parish and Town Councils have always had a strong interest in public realm matters including highway maintenance and it is recognised that through working with Parishes an opportunity exists to improve local responsiveness, provide added value to the core services and improve the environment within the local communities. The condition of local roads, footpaths and open spaces affects the whole community and contributes to the quality of the local environment. When the County Councils came into being in the late 1880’s, they were charged with maintaining main roads, roughly 25% of the highway network. For day to day maintenance a roadman (“lengthsman”) was given lengths of highway to maintain and were expected to do everything necessary to typically keep ‘their’ sections of road up to scratch. 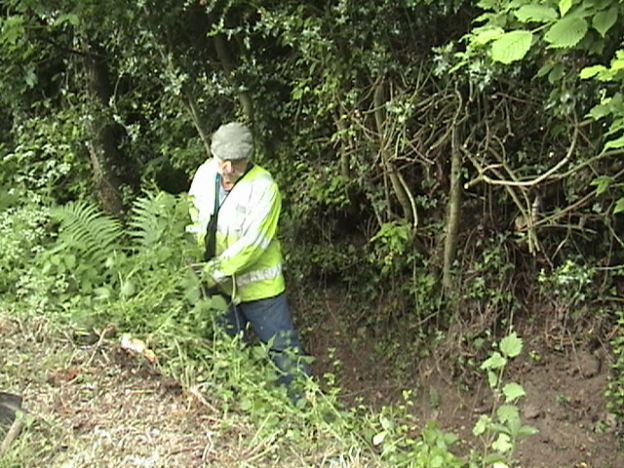 Lengthsmen generally worked alone, using hand tools. They tended to live in or near the parishes in which they worked and took great pride in their area. They would often have a close relationship with the parish authority and be very aware of local needs. Mechanisation and reducing budgets sent the service into decline and proved the downfall of the labour intensive lengthsman. In 2000, the Council launched a local highway maintenance initiative (parish lengthsman scheme), providing small delegated budgets to Parish Councils for minor works on local roads. Parishes are able to use the delegated budgets to employ a local contractor familiar with the area. Delegation takes place under Section 101 of the Local Government Act 1972. The P3 scheme enables Parish Councils to take responsibility for maintaining public rights of way in their parish and to promote greater use of the local paths network by both local people and visitors. The initiative has proved very successful and following a full review in 2014 the Lengthsman scheme was expanded to allow increased participation and scope of works to reflect the delivery of public realm services. The Parish Paths partnership (P3) funding will continue to be available for eligible parishes for works on public rights of way paths but will be managed within the Lengthsman scheme processes. Strengthen community leadership by allowing Parish Councils to take ownership of the delegated budgets and management of works under the guidance of Balfour Beatty Living Places. Enabling communities to have a higher degree of self-reliance through the personalisation of the Lengthsman Scheme and P3 in each parish. Ensuring value for money by working with the Lengthsman and Parish Councils to integrate works maximising productivity. All works to be identified in the parish council annual maintenance plan. Ensure legibility and visibility of traffic Signs including minor repairs, straightening, cleaning and removing vegetation. Repaint traditional finger and mileposts. The lengthsman shall not undertake any cleaning, repair or work on street lights, illuminated signs, bollards or attend emergency call outs to highway incidents.